Cheap Majorca holidays. Resorts include Alcudia, Cala D Or, Magaluf, Purto Pollensa, Santa Ponsa and more. Holidays to suit all tastes and budgets. ATOL Protected. These amazing value early booking offers for summer 2019 from On the Beach are available to some of the most popular holiday destinations worldwide. Whether you are planning a family holiday to the Spanish Costa’s or looking for a special break on an idylic Caribbean Island you can bag yourself a bargain today and secure your 2019 holiday with a low deposit. With a choice of cheap bargain bucket deals for under £200 to fancy 5 star luxury resorts at over £1000 per week there is sure to be the perfect holiday to suit your individual requirements and budget. You can even CUSTOMISE YOUR HOLIDAY by changing flights, board basis or upgrading your room and add optional extras like airport parking, resort transfers and travel insurance. There are even flexible payment options available so you can secure your 2019 holiday today with a low deposit and then spread the cost with monthly payments right up to 2 weeks before departure. 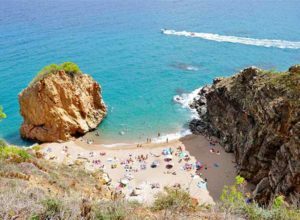 Lead in price of £149pp was for a 7 night holiday staying at the Blavamar Apartments in Lloret De Mar, Costa Brava, Spain departing London Stansted on 08 June 2019 based on 2 people sharing. Holiday provider: On the Beach – ABTA No K0813 – ATOL 10017. Prices shown are for guidance only and were available at the last update. Actual price will vary depending on the departure date/time, departure airport, airline, time of booking, hotel and duration of your holiday.